This bright 3 bedroom townhome has been recently painted and has been well maintained. The vaulted master bedroom has great natural light, a large closet, and a full private bath. The other 2 bedrooms upstairs share a full bathroom. The home has room to grow with a large unfinished basement currently utilized as the laundry room, it has an egress window already in place for an easy convert to a bedroom. Come see how convenient your commute will be once you move into this lovely home. Close to UC Health University Hospital, Lite-rail, RTD bus lines and quick access to I-225 and DIA. 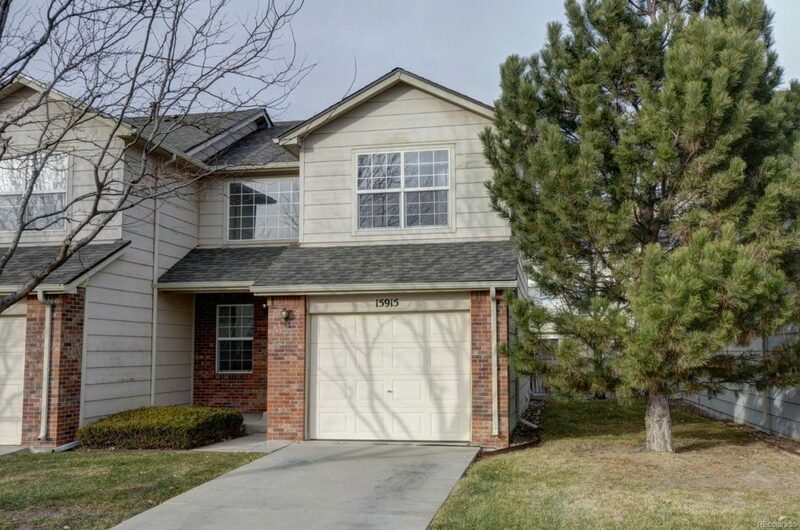 For a showing or to get prequalified to purchase call Nick at 303-476-8454. One of the ways you can boost the value of your home before putting it on the market is by carrying out some home improvements. Adding improvements to the kitchen, the living room, the front yard, and other parts of the property can really increase the appeal of your home while adding value to it. However, home improvement projects need to be taken with extra care. There are so many construction and home improvement horror stories out there. We are going to review some of them and see how to best avoid running into the same problems with your own projects. A repainting is usually a simple enough job to complete, but that is not the case with this particular one. It is one of the scariest contractor disaster stories out there. 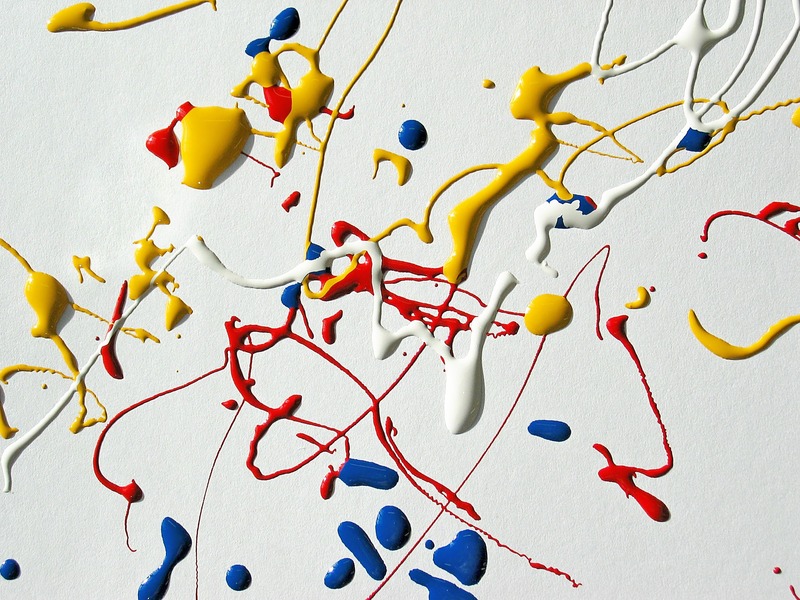 While applying primer to prepare surfaces for a fresh coat of paint, a contractor once knocked a freshly-filled sprayer over a layer of thin rosin paper. What follows is even worse; upon trying to contain the spill, the contractor actually ripped the rosin paper and caused the paint to spread. The damage is somewhat predictable. Hardwood floors were completely ruined since the primer got into the grooves and damaged the floor itself. Hardwood is notoriously difficult to clean too, especially when it is not coated properly. The result was 82 hours added to the project just to clean the surface and the space underneath the hardwood floors. This kind of contractor horror stories is exactly why you want to use better surface protection like the products offered by Trimaco. It is always better to take extra steps with protecting your floor and other parts of the space than to run into a big issue when you do spill paint or other substances. Doing a thorough inspection is highly recommended before every remodeling project. The inspection isn’t just for spotting early signs of problems, but also for checking and double-checking the remodeling project against existing fixtures and wirings. Having not done sufficient checks, a contractor once cut through an old pipe that was still connected to the plumbing system. Water flooded the entire space and started spreading to other rooms. Even worse, the stairs leading to the basement turned into a waterfall within minutes. The damages were more expensive to repair than expected, all because of poor planning and lack of thorough inspection before a remodeling project. This too is an issue you can avoid easily with sufficient preparations. Another thing that can be avoided with a simple inspection before a makeover project is mold and damp walls. This one is actually a true horror story, because the owner of the house didn’t realize that there were leaks affecting the nearby wall until it was time for an open house. A portion of the wall in the kitchen showed clear signs of water seeping through the surface and early signs of black mold. Rather than boosting the value of the house, the fresh coat of white paint ended up revealing what was wrong about it and scaring potential buyers away. You would not want that to happen on your own open house day, would you? These problems are all easy to avoid with the right preparations before your home makeover. Make sure you complete the necessary steps and use the stories in this article as a warning of what not to do before moving forward with your own home improvement projects. HUD employs varying listing time periods for their listed homes based on the qualification status of the home and the kind of purchaser that desires to submit a bid. Provided below is a guide for consumers and agents to easily determine the listing periods for HUD homes. The Exclusive Listing Period, bids are submitted by Owner Occupant purchasers only. HUD defines owner-occupant purchasers as owners that intend to live in the property over 1 year or qualified nonprofit organizations and government entities. A 15 day Exclusive Listing Period for Owner Occupant purchasers for properties listed with status as Insurable and Escrow Insurable with Repairs made. A 5 day Exclusive Listing Period for Owner Occupant purchasers for properties listed status as uninsured. A Owner Occupant must occupy the house for one year and can’t participate in a HUD sales for two years after purchase. For Insurable and Escrow Insurable properties, initial bids will not be opened and reviewed until the 10th day of the Exclusive Listing Period. All bids will be handled as having been received simultaneously. If no winning bid is received by the 10th day, bids shall be opened and reviewed on each day after the 10th day until a winning bid is accepted. If no winning bid is received in that 15 day Owner Occupant period, the listing shall be extended to all buyers on day 16. For Uninsurable status properties, Owner-occupant only bids shall be opened and reviewed on the 6th day. All bids will be treated as having been received simultaneously as well. If no acceptable Owner Occupant net bid is received then the listing shall be extended to all buyers on day 6. At the end of the Exclusive Listing Period, should a property still be unsold, general public bids (including real estate Investors) may be submitted every day. The following tables provides a different way to review the bidding timelines based on the Listing Period posted at HUDHomestore.com. The financing status of each asset can be found on Property Detail Screen at HUDHomestore.com under the FHA Financing fields on the far right column. Don’t you sometimes feel as if the process of buying the house was just one big game between the buyer and the seller in which the latter is trying to outsmart the first one and trick them into purchasing a home that is really not worth the price? Well, if it’s a game they’re playing, no problem. We’ve prepared a list of the most common issues they’re trying hard to hide, so you will be well prepared to lower the starting price as much as possible, or even give up on the purchase altogether if the home in question has all these problems. Before even taking a peek inside, let’s remember that location is everything, and for a good reason. First of all, you should check if the area is famous for common traffic congestion. Also, ask around to see whether any of your neighbors are too noisy to be put up with. If you have children, you have already enquired about the education institutions in the area, but what if they are not that suitable, so you plan on buying an affordable home and paying for education more in a school from a different district? The school district zoning system may represent an obstacle in this case. These and plenty of other issues have a huge impact on the price of the property, so it’s advisable you get a free property report for the house you wish to buy. 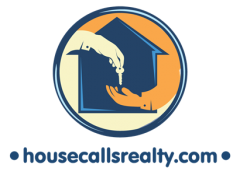 Not only will you have the price estimate and what to look for list, but also information on earlier sales, and even rental history. Leaks of all kinds. This is something most people put off doing, and eventually they are closer to selling their homes than solving the simple issues. Leaking can appear anywhere: ceilings, roofs, radiators, faucets – you name it, it’s dripping and taking your money away. Most leaks occur in the bathroom of course, but you should check the whole house for signs of leakage. Do not be fooled with the seller’s faked ignorance about the age of water heaters and HVAC systems. If that’s the answer you get, the systems are probably considered too old to be mentioned. Nevertheless, your home inspector should be able to find the information rapidly. As opposed to leaks, these can cost you quite a lot. Imagine this: the freshly painted walls look picture prefect, as the whole house in general, but it hides one dirty secret – termites! Before you ask about any pest issues, check if the seller can lie to your face, i.e. if there aren’t any disclosure laws that would force them to share the information with you. Even though some of them are really easy to spot, such as a sagging roof or cracks in the walls, that does not necessarily mean the complications are always going to be visible to an inexperienced eye. In order to definitely determine whether you would be in for a costly repair, call a home inspector to take a professional, closer look and give their stamp of approval (or not). However, one thing a home inspector cannot help you with is a pool in the back garden. If you are looking for a home with a refreshing area, be aware that there is much more to check than just water consumption and pool shape. Most home inspectors aren’t trained to estimate pools since they have complex systems that can usually only be checked by a professional pool expert. Don’t expect from your seller anything apart from proudly presenting you the pool. No one is going to brag about the existing complications of something that is considered rather a luxury than a necessity, thus admitting their bad judgement. Now that you know what to pay attention to, you are ready to begin proper house hunting, ask the right questions and negotiate the price. In short, let the games begin! Bill Gordon is a freelance writer who likes writing articles that cover small business and corporate related topics. He has written numerous articles and contributed to several other blogs. When he is not writing, he enjoys spending time with his wife and riding bikes. For the last 18 months, REcolorado, as well as shareholders of REcolorado and IRES, have made a merger a top priority. Despite IRES shareholders, REcolorado shareholders, and the REcolorado Board of Directors approving the merger, it was the IRES Board of Managers who derailed the deal. And in the interest of full disclosure, we want to let you know why. REcolorado is 100-percent committed to moving forward with merger negotiations if the IRES Board of Managers would agree to remove these provisions. Despite this roadblock, REcolorado is moving forward with its vision of one MLS on the Front Range and beyond designed to serve the best interests of real estate professionals and their clients. And you can help. If you share this vision, we encourage you to contact your Association, REcolorado Board of Directors, and IRES Board of Managers and tell them you want one MLS for a long-term solution to provide consolidation which is the best for brokers and agents. Visit MLS of the Future to learn more.